Iconic Offices is a leading provider of serviced office accommodation and flexible workspace solutions operating in various spaces all over Dublin. A self described “hotel for business,” Iconic Offices has come a long way in it’s short lifetime. Set up about 3 years ago, the company has experienced a lot of progress and a lot of changes in the way they do business. Starting with only one small Georgian building, the company has grown to be Dublin’s most stylish and chic serviced office provider. Iconic Offices offer full facilities management, providing office space that’s furnished and ready to use, complete with reception, broadband, furniture, breakout areas much more. Iconic Offices manage all of this space for the businesses so they can focus on what’s important to them – running and growing their company. Iconic Offices are dedicated to providing cool, stylish and innovative space. Commercial Director, Althaea Federlein, says it’s something modern companies are looking for more and more now – just because a space is flexible and easy to use doesn’t mean it needs to be plain and boring. Before they brought Magnet on board, Iconic Offices’ IT landscape looked very different. Having gone through 2 or 3 different providers in only 3 short years, their infrastructure was lacklustre and they were getting slowed down by old and outdated IT provisions. It’s vital for Iconic Offices to provide their clients with extremely strong, always working broadband – otherwise their clients suffer and they become bogged down by frustrating, time consuming IT complaints. Having an ISP that was unreliable and unresponsive was a major issue, and so they decided they needed to modernise their entire IT landscape with a company that understood the needs of their business. Magnet gives Iconic Offices a competitive edge as they can offer new functionalities to their clients. Their clients can answer their office calls on their computer at home via a softphone, or answer their landline calls on their mobile using Magnet Voice’s unique smartphone app – it puts Iconic Offices at the forefront in tech, matching the innovation they represent as a brand. In Magnet, Iconic Offices have found a company that perfectly match their ethos of design and being on the cutting edge – one that has listened to the needs of their business. 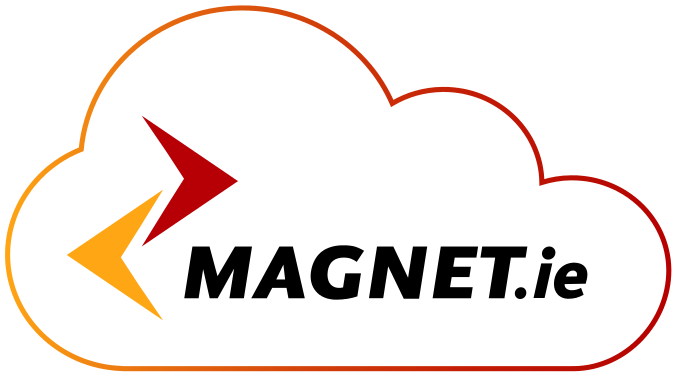 The relationship with Magnet has been so fantastic that Althaea describes them as a key business partner for the company. Magnet’s reliability in responding to Iconic Offices needs for scaling is crucial. If Iconic Offices can’t rely on their ISP’s speed to action they can’t do new buildings at the speed they’d like – and they lose their reputation as well. With this in mind, when new fibre or phones are required immediately, Magnet make it their mission to respond as quickly as possible to ensure everything runs smoothly.